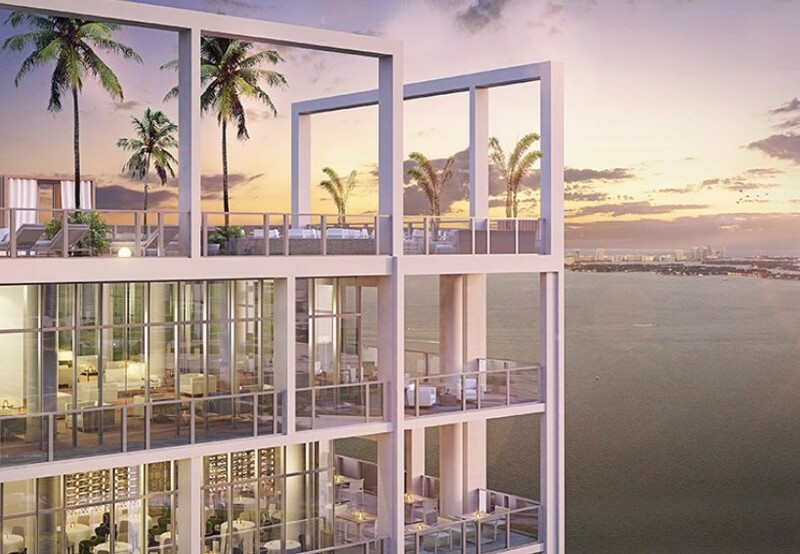 Heafey Group, a developer out of Quebec, has recently submitted plans for a new condo-hotel project to be located in Miami’s Edgewater neighborhood. The luxury hotel and residential development is said to be branded as an Autograph Collection Hotel by Marriott, according to a recent article from The Real Deal. The Bentley Edgewater Hotel and Residences will be a 32-story, 207-room hotel and residences tower and will be located at 410 Northeast 35th Terrace. Heafey Group will go before Miami’s Urban Design Review Board later this month to seek approval for the plans. Currently, plans call for an amenity and pool deck on the sixth floor, a seventh-story spa, hotel rooms on floors 7-31 and 180 parking spaces on floors 2-5. There will also be a VIP lounge, restaurant and gym located on the 32nd floor. 18 fully furnished penthouse suites and 27 executive suites are also included. Kobi Karb is the designer on the project. Units will range in price from $420,000 for a one-bedroom to $3.4 million for a penthouse, which also include the option for a two-year lease for a Bentley. All units include a one-year membership to the Bentley Beach Club in South Beach. The non-waterfront, 30,046-square-foot proposed site is close to the northern border of Edgewater, where several other new towers are being built, including Related’s Paraiso complex and Two Roads Development’s Biscayne Beach. For more information about available properties in Miami, contact Oceanica Real Estate at (786) 270-1743 or info@oceanicarealestate.com.